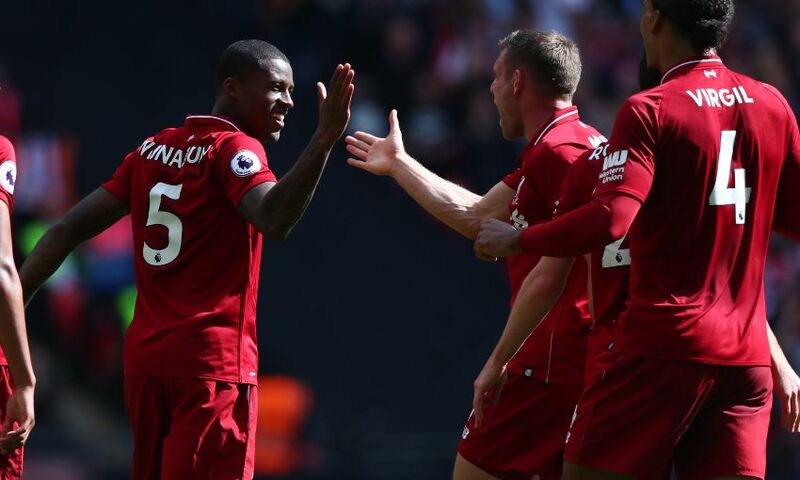 Georginio Wijnaldum knows from experience why Liverpool cannot afford to get carried away by their impeccable start to the season. Seven fixtures have brought six consecutive Premier League victories and a thrilling 3-2 Champions League success over Paris Saint-Germain so far this term. The Reds are therefore the early leaders in England and hold an advantage in their European group, hinting at the prospect of a serious tilt at silverware during 2018-19. Wijnaldum is, of course, encouraged by his team’s form but has also highlighted the sheer amount of football still to be played as cause for pragmatic thinking. “We are all confident. That is what we were last year also, so I think that we shouldn’t look that far ahead – just stay where we are right now and take it game by game. We will see where we will finish at the end of the season,” said the midfielder. “During the season so many things can happen. Last season we were all confident that we could do big things and finally we did by reaching the final of the Champions League, so we hope to do better in the Premier League. “If you think back to last season and how the season went, we dropped too many points and we played too many draws. We didn’t win most of the games against the top six, but we did the year before and we know now what we need to do better and how we can compete with the others that are going for the title. That Liverpool’s 100 per cent start to the Premier League campaign has established only a two-point advantage over Chelsea and Manchester City shows the strength of the competition. And with a relentless fixture list offering no let-up – the Reds face those two sides immediately below them in their next two league matches – Wijnaldum has called for maximum effort in every single outing. “I just want to stay calm, confident and concentrated. The Premier League is a really difficult competition and you don’t win games that easy,” added the Dutchman. “It doesn’t matter who you play against, it will always be tough if you are not concentrated. If you don’t give 100 per cent you can lose every game so I am prepared for what can come or what can happen. “If you speak about Manchester City… they had a phenomenal season last season and only lost two games and had four draws in the Premier League. They showed how few points you can drop to compete with them so it is going to be really difficult, especially if they have a season like that again.